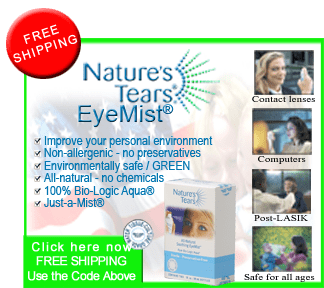 Natures Tears® EyeMist® Announces Expansion to Overseas Markets Through Amazon.com Will Lower Shipping Costs to Overseas Consumers | Bio Logic Aqua Research® Technologies International, Inc. This entry was posted on July 18, 2013, 2:05 pm and is filed under 2013, BLART, Sharon Kleyne. You can follow any responses to this entry through RSS 2.0. You can leave a response, or trackback from your own site.